Looking to buy penetrating sealer and hardener for concrete surfaces – Euco Diamond Hard by Euclid Chemical in Rochester NY, Ithaca NY and Western New York? 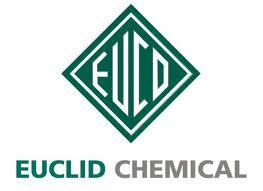 The Duke Company proudly is a leading distributor of Euclid Chemicals to professional contractors. We offer expert advise, pick up and delivery. Euco Diamond Hard is a technologically advanced penetrating sealer and hardener that is a formulated blend of polymers – silicate and siliconate. The product is renown for very effective penetration of concrete services and is engineered to create a sheen, but also provide a very effective slip resistance sheen on concrete surfaces such as warehouse floors, manufacturing plants and commercial office buildings. The product can be used both for interior and exterior applications and is compliant with VOC regulations in the United States and North America.